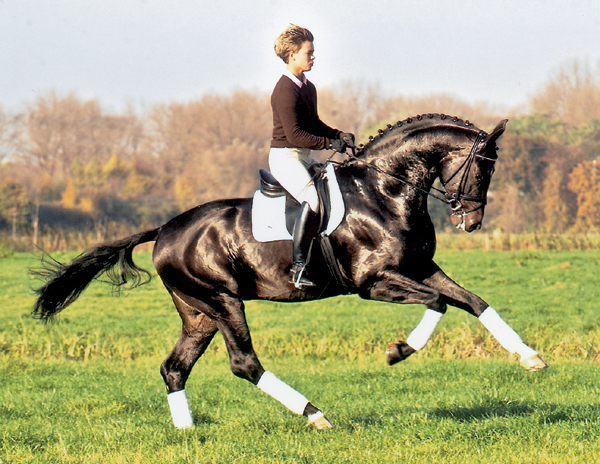 Stedinger Brown Oldenburg Stallion, by (Sandro Hit /Landadel) born in 2000, standing approximately 17.2 hands. 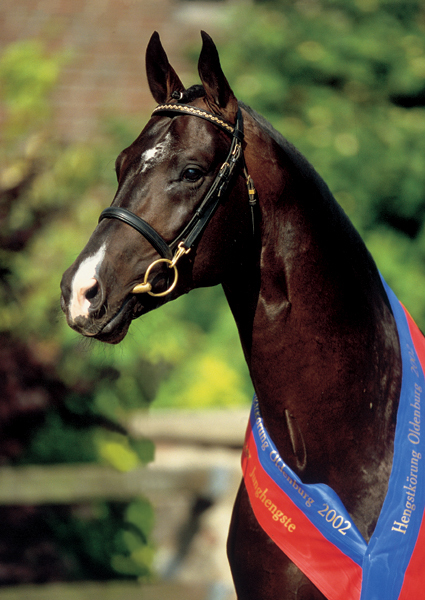 Bold Fantasy Oldenburg Licensing Winner Producer of many licensed sons & State Premium daughters, top priced auction horses, Champion foals at elite level & top level dressage competitors. Stedinger (imp) Stedinger was the undisputed Young Stallion Champion of the Oldenburger licensing in 2002 and runner-up at the main premium award in 2004. 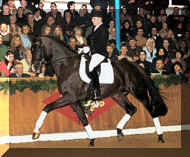 After victories in many dressage tests at medium (M) level, he was trained by Dieter Weichert for the next level in dressage. 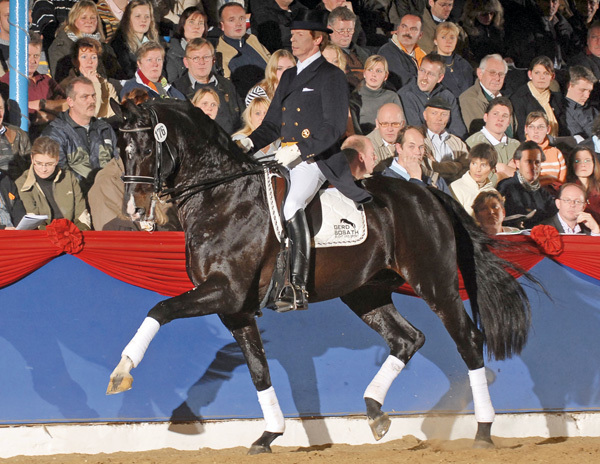 In spite of a heavy breeding load, Stedinger did an outstanding job at his 70-days test in Neustadt/Dosse. He finished the performance test with a total index of 131 (dressage 130.72 / jumping 121.92). 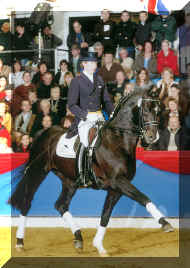 In 2005 he was qualified for the “Bundeschampionat” of dressage horses in Warendorf. 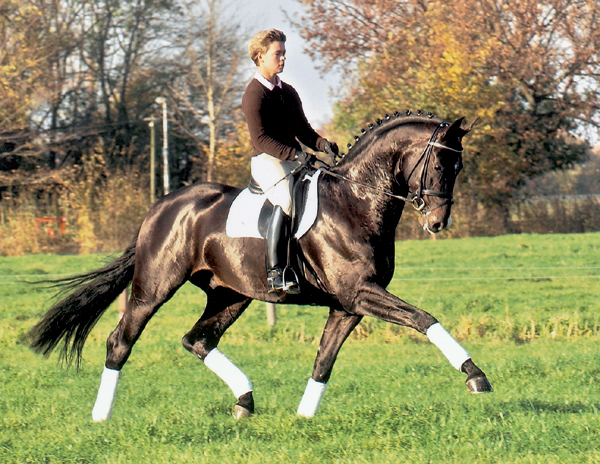 Stedinger is a charming, beautiful and very correct stallion. He is one of the best all around athletes that you can imagine, with gorgeous movement and super form over fences. 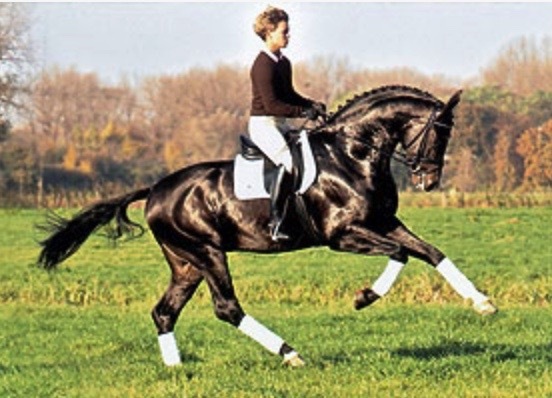 He should be an excellent addition to the “D” and “R” lines to bring in the blood of Sandro and Landadel, with their jumper talents adding to the athleticism of the modern dressage horse. 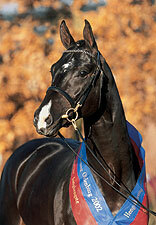 Depth of breeding, outstanding conformation & movement equal to the very best, anywhere in the world! 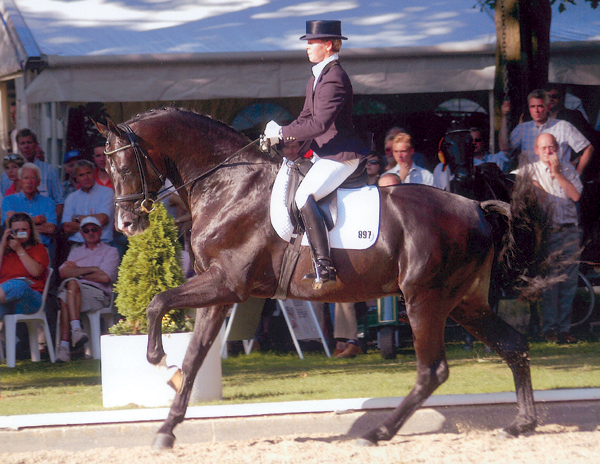 In 2010 and 2011 the mare Toerveslettens Stamina and Andreas Helgstrand were an eye-catcher at every event: Stamina became Dressage-Champion in Denmark, she won the Dressageshow at Falsterbo Horse Show and was placed in the final of World Championships for young dressage horses as a 5- and 6-year-old. Stedinger’s son Schumacher won the bronze medal at World Championships. 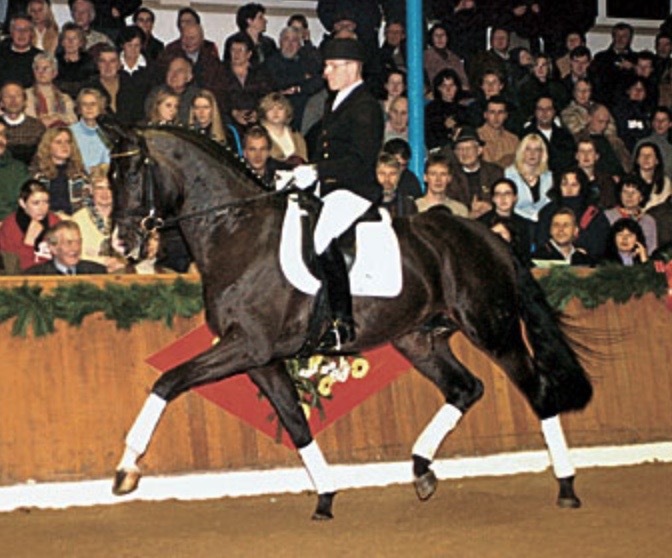 By that Stedinger was the only sire who had two finalist at the World Championships final. 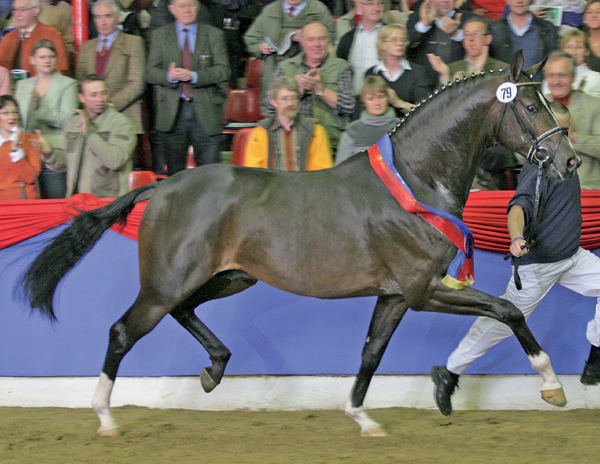 Socrate de Hus became Champion of France three times in a row – as a 5-, 6- and 7-year old horse. 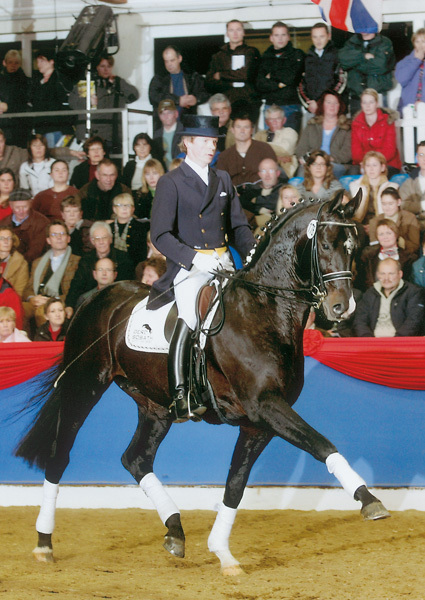 Also in 2009 sons and daughters were represented successfully at the Bundeschampionat. 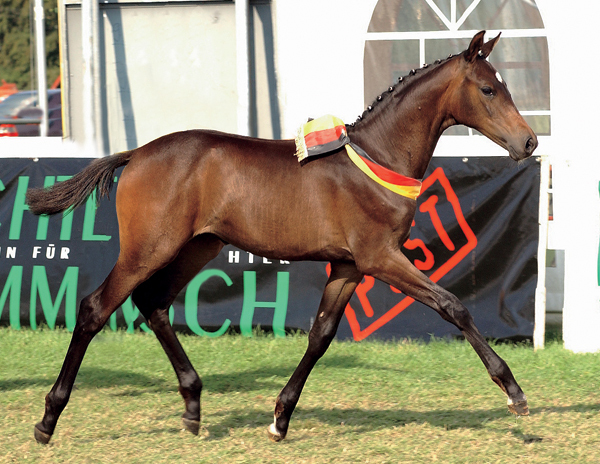 In addition, his offspring were bestsellers at auctions and achieved top prices in Verden, Vechta and Ankum (PSI). 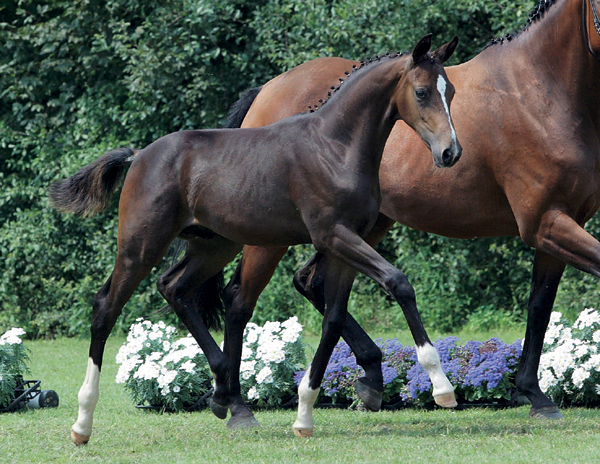 After the federal winner foal in Lienen in 2004, the winner stallion “Status Quo” of the Oldenburg licensing in 2006 and, in the meantime, more than 20 licensed and to partially awarded sons on all German and European inspected places, his first year on the Bundeschampionat was in 2008 the topic of conversation: Santorini OLD became “Bundeschampion” of the four-year-old riding horses, Schumacher became Westphalian champion and runner-up at the “Bundeschampionat”. 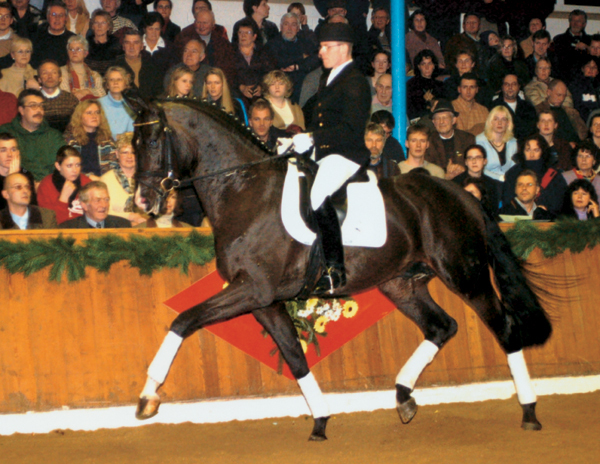 Statesman won the bronze medal at the “Bundeschampionat” and afterwards he was sold for 400.000 euro by the “Vechtaer elite auction” – a new record! 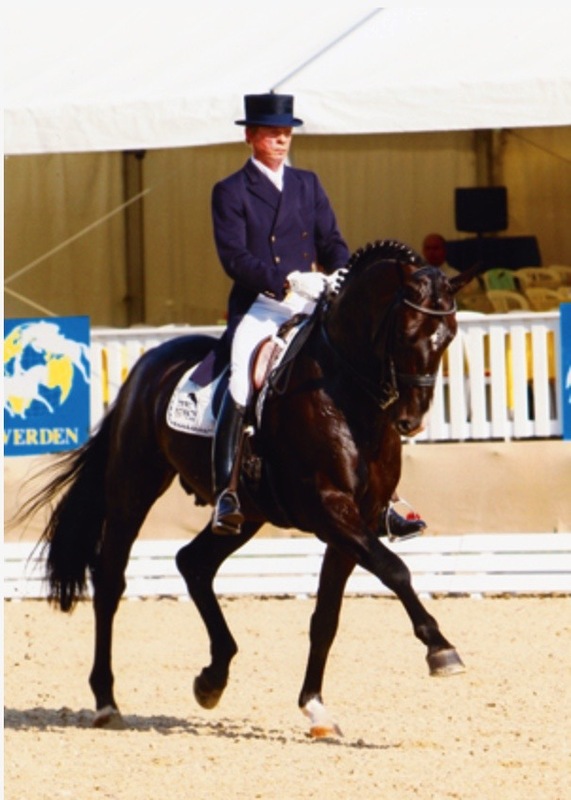 Another success of Stedinger is his licensed son Spirit of the Age who at only 9yo has been highly successful at International Grand Prix level with rider Bernadette Brune.